E-mail MeJessica E., Choper Esq. 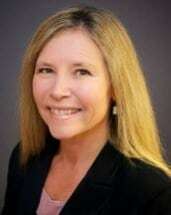 Jessica E. Choper of Britcher Leone LLC and Leone Equestrian Law, LLC, has been involved in all aspects of litigation since she admission to the New Jersey State Bar in 1990. Specific areas of focus include medical malpractice, nursing home litigation, and equestrian law, where she provides legal services and consultation to a wide range of individuals/entities involved in the equestrian sport. Ms. Choper has also authored numerous briefs as amicus counsel for the New Jersey Association for Justice, a number of which have resulted in reported decisions. Additionally, Ms. Choper has co-authored several published articles on topics including the Legal and Medical Implications of Foreign Travel, the Affidavit of Merit Statute, the Doctrine of Apparent Authority, as wel articles addressing various issues impacting the equestrian sport. Ms. Choper is an avid equestrian competitor and a member of the United States Equestrian Federation and the United States Hunter/Jumper Association.